This lovely hotel can be found in Millville Area. A total of 52 guests rooms are available for guests' convenience. This is not a pet-friendly establishment. 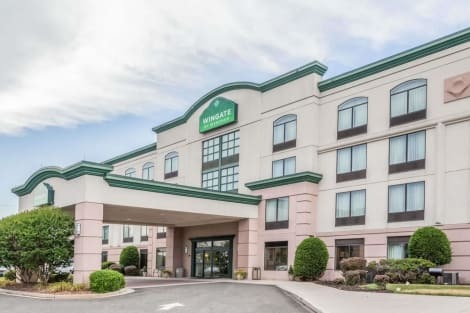 Located in Vineland, Ramada by Wyndham Vineland Millville Area is within a 10-minute drive of Cumberland County College and Cumberland Mall. 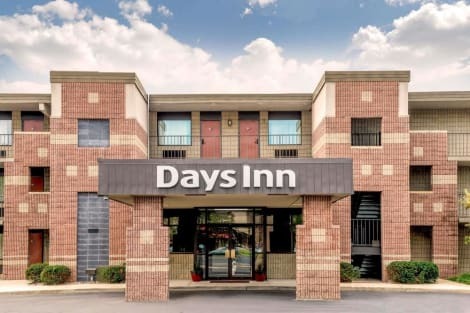 This hotel is 28.4 mi (45.7 km) from Sahara Sam's Indoor Water Fun Park and 2.6 mi (4.2 km) from Landis Theater. Enjoy a meal at the restaurant, or stay in and take advantage of the hotel's room service (during limited hours). A complimentary continental breakfast is served daily. Featured amenities include complimentary newspapers in the lobby, a 24-hour front desk, and a safe deposit box at the front desk. Planning an event in Vineland? This hotel has facilities measuring 800 square feet (74 square meters), including a meeting room. Free self parking is available onsite. Featured amenities include a 24-hour business center, express check-in, and express check-out. Planning an event in Vineland? This hotel has facilities measuring 2485 square feet (224 square meters), including conference space. Free self parking is available onsite. lastminute.com has a fantastic range of hotels in Vineland, with everything from cheap hotels to luxurious five star accommodation available. We like to live up to our last minute name so remember you can book any one of our excellent Vineland hotels up until midnight and stay the same night.